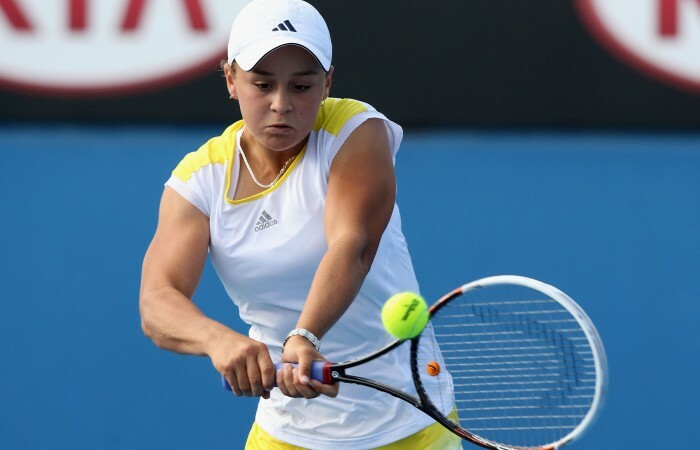 Teenager Ashleigh Barty will be the youngest Australian Federation Cup player since Jelena Dokic in 1998. Teenager Ashleigh Barty will be the youngest Australian Federation Cup player since Jelena Dokic in 1998 after being picked for next month’s World Group quarterfinal tie against defending champions the Czech Republic. New Australian captain Alicia Molik on Thursday selected Barty, Samantha Stosur, Jarmila Gajdosova and Casey Dellacqua after the 16-year-old’s inspired run to the Australian Open doubles final. Barty and Dellacqua will play Italian top seeds Roberta Vinci and Sara Errani for the Open title at Melbourne Park on Friday and Molik said the youngster and her partner had picked themselves for Federation Cup duties. “I believe it’s a team that will win us the tie. 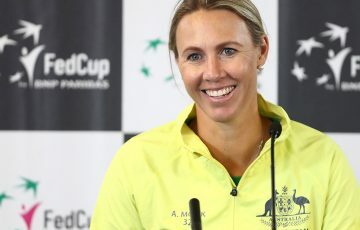 I firmly believe that,” said Molik, who has replaced her former mentor and Stosur’s coach David Taylor as Australian captain. 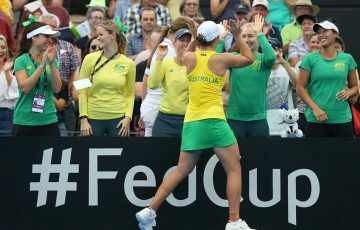 Dokic was just 15 years and two-and-a-half months when she made her triumphant Federation Cup debut in 1998, winning both her singles matches in a 5-0 rout of Argentina in Canberra. Dokic went on to reach world No.4 and an Australian Open quarterfinal in 2009 and Molik hoped Barty’s selection was a good omen for last year’s junior Wimbledon champion. “I don’t think it comes down really to age. It comes down to how developed a player is and how ready they are. “Gosh, Ash is ready, absolutely, to play Fed Cup. That’s why she’s in the team. 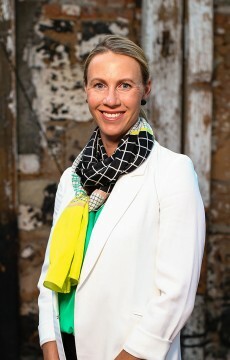 “That’s why (Australian coach) Nicole Bradtke and I decided to select her. “Tennis – as we see on men’s tennis and women’s tennis – doesn’t boil down to age. The tie will be held in Ostrova on February 9-10.